The first 12 Rotarians to sign up will meet at 5000 Overlook Avenue SW, Washington, DC 20032 to tour: The Largest Advanced Wastewater Treatment Plant in the World! At DC Water, they believe wastewater is more than just waste. 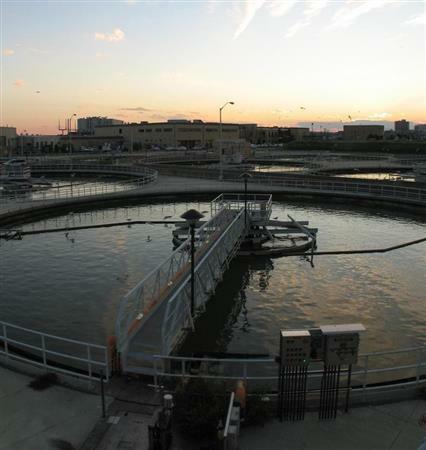 During the treatment process, useful products like biosolids and energy are extracted to be reused. They land apply their biosolids across the region, recycling nitrogen and phosphorous back into local soils. The thermal hydrolysis process used in their digesters generates about 10 megawatts of electricity that they reuse to cut their electricity consumption by a third. These efforts help to continue to improve their treatment process and remain a leader in sustainability for the future.